We board: Guinea Pigs Hamsters, Mice etc. Pelletts is run by Stefan, who is a fully qualified Rodent Health Advisor (RHA), registered with the British Association of Rodentologists, having completed training at the Cambridge Cavy Trust (CCT). Stefan also has experience as a volunteer home visitor for the RSPCA. We have eight spacious indoor apartments for your guinea pigs to stay in and each apartment has its own spacious hidey house. The Burrow, The Brambles, Wigmore, High Place, Middle View, Nestle Down, Shady Pines & Sunnydale all are 58cm wide and 120cm long and are suitable for up to two guinea pigs. We also have Cavy Cottage, which is 140cm long, and 71cm wide, and is suitable for up to three guinea pigs to stay in. They are not in direct sunlight and we provide plenty of ventilation to ensure your guinea pigs have a comfortable stay. A DAB radio with classical music is played during the day to help your guinea pigs relax. We also offer boarding for hamsters, gerbils and mice. They must be provided with their own secure cage, dry food and bedding. Unfortunately we are not able to board degus, rabbits, rats or chinchillas at this time. Apartments are large enough to house, & exercise your Guinea Pigs. All cages are cleaned with F10 Veterinary Disinfectant which is totally safe & poses no hazard to your animal. F10 provides high level disenfection against bacteria, fungi and most viruses. We only use plastic cages as these are more hygienic than the wooden ones. We use newspaper, fitch, hay for bedding and ensure any wet/soiled paper is changed daily. We never use sawdust or wood shavings as these can give your guinea pigs respiratory problems. Your guinea pig will never be given a water bottle that another guinea pig has used until it has been fully sterilized. We also ensure the bottles and spouts are cleaned daily. Food bowls are cleaned daily and any food that is not eaten will be thrown away. Our current daily rate is £8 for a single guinea pig or £10 for a bonded pair. We charge the daily rate for the arrival and departure days regardless of pick up/drop off time, and we have a minimum booking period of 3 days. If you have specialist requirements please contact us to double check any additional fees which may be involved. *For boarding on Christmas day & bank holidays please check the website for surcharges. We are able to offer discounts for long term boarding. Please email us for a quote. •We also offer local pet sitting at £12.50 per visit. Stefan is amazing, I find him a godsend, he's so knowledgeable and given me some great advice and tips. I really appreciate him looking in on my gang of Guinea's when we had to go away twice last year and he even had them over Christmas. I count my blessings that he's able to look after them in their own abodes as we live nearby and he sends WhatsApp pics and messages to keep me informed. Stefan is the perfect carer for your guinea pig. I was impressed with how affectionate and caring he was towards our cavvies and also with his attention to detail. When we visited, he had a radio playing classical music in the background at a volume which would be pleasant to the guinea pigs. The hutches were very clean and our cavvies were very happy. Stefan himself is a very friendly keeper. Your guinea pigs are safe with Stefan!!! 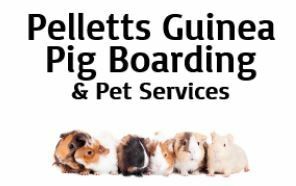 We are a fully insured guinea pig boarding facility based in Hayes in West London.